Port is a logical construct that recognize a specific process or a type of service. When you connect an Android device to computer, and want the device to be identified by particular applications, the corresponding USB port will be used. However, other process may have occupied the port before the application started. So in order to make your Android be recognized by the desired program, you will need to end the process that have occupied the USB port prior. When you use Jihosoft programs, like the Android Phone Recovery, Phone Transfer, and Android Manager, you may meet the same problem. The Android USB port that was supposed to be used is occupied by another process. The following paragraphs will show you how to find which process has occupied the port and end it. Afterwards, your Android phone or tablet will be identified by Jihosoft programs smoothly. 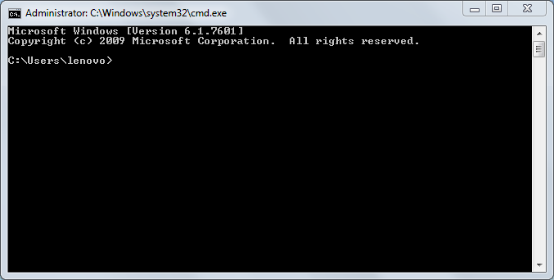 Step 1: On PC, click start, and run “cmd” command. Hit “Enter”, a command window will pop out. 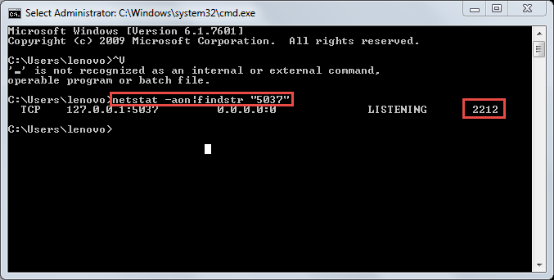 Step 2: Run netstat -aon|findstr “5037” command, then you will find the occupied ID, remember this ID number. For instance, here refers to 2212. Sometimes, the occupied ID remains multiple. 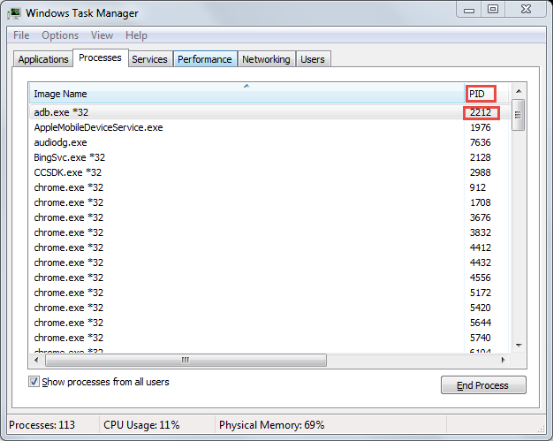 Step 3: Open the task manager by pressing Ctrl, Shift, Esc at the same time. Check the PID that matches the number-2212. 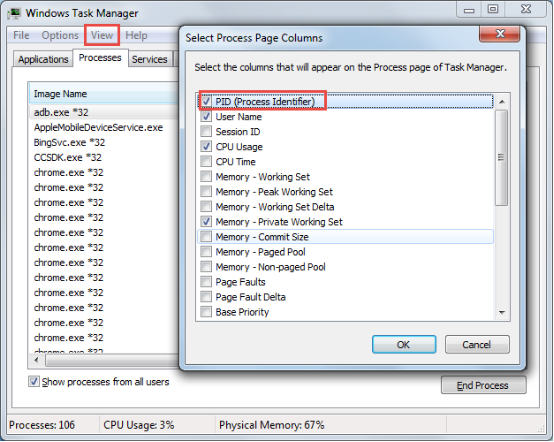 Note: If you can not view PID column, follow the steps here. Click “view”, choose “select columns”, mark PID, and hit “OK”. Step 4: Opt the related process and hit “End Process”.